Speaking on Okay FM's 'Ade Akye Abia' programme the Suame legislature explained that parliament will hold series of meetings in parliament the coming days to see how best they can address this issue of placard display in the chamber. "It does not happen any where in the world and as legislatures we must work to put a stop to it," he said. "We are members of parliament and we should not be doing this to ourselves to the extent that we describe one of our own as a 'bloody widow'," he added. The minority in parliament came under heavy criticisms for describing Hon. Lydia Seyram Alhassan as "bloody widow" when she was sworn-in by first deputy speaker of parliament, Hon. Joe Osei Wusu in the chamber last week. 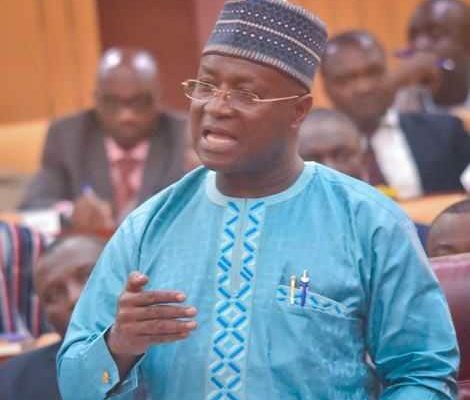 However, the Minority in parliament has defended their actions for calling the newly elected Member of Parliament for Ayawaso West Wuogon, Lydia Alhassan Seyram as a "bloody widow". After Madam Alhassan's introduction for the administration of oath of office by First Deputy Speaker Joseph Osei-Owusu, Minority Chief Whip Mohammed Muntaka Mubarak caught the attention of the Speaker to announce the Minority's boycott of the exercise. "Our side of the House cannot be here to witness this swearing-in," he said.